Kevin Woster: So, Billie Sutton Got His Campaign Groove On In Camp Crook? 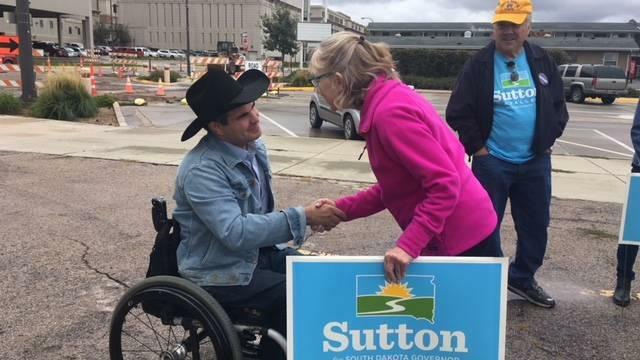 Democratic candidate for governor Billie Sutton is on the road seeking votes for the November election. His campaign has released internal polling numbers that Republican candidate Kristi Noem's campaign says are meaningless. SDPB's Kevin Woster is following the campaign on his blog "On the Other Hand."